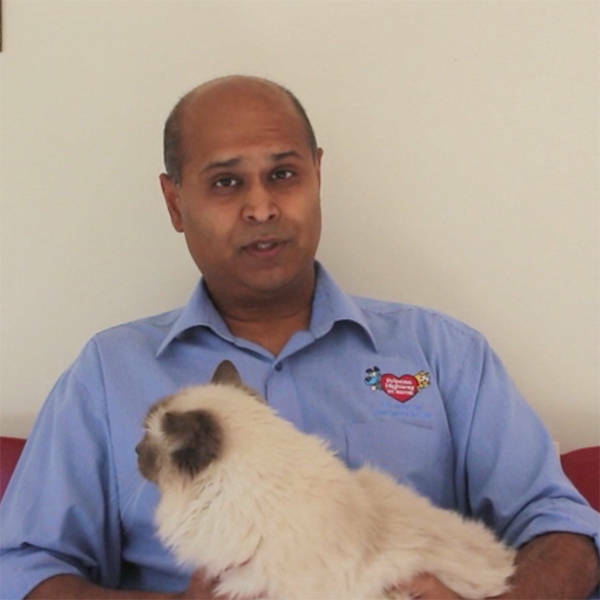 One of his clients said: "Dr Ben is a very caring vet. And he's like the horse whisperer of dogs and cats, he can almost always calm them down." Ben has been my vet for over 20 years now - he is the best - my girls have never had a problem visiting him - they know he is kind, compassionate and explains things to me in a way that keeps me calm as well - thanks Ben. Ben has been my vet for 30years! His caring for owner & pet is wonderful. His commitment to animal welfare & rescues without question. This is chance for Ben to promote animal service's including wildlife. Such a joker with wicked sense of humour & wonderful family & staff in support. I have known Dr Ben for 20 yrs. He his is the most caring and compassionate vet. He will go out of his way to help any animal even though its after hours. He has a heart of gold not only for the animals but for the owners as well. Dr Ben is amazing, kind and caring. He has helped our rescue dogs so much, over and over, stepping up to every challenge while keeping everybody calm (including the humans). And the we love the Dad jokes! Dr Ben has looked after my pets for 20 years , I felt he was different from other vets , he has a genuine heart to care for the animals and isn't doing it for the $$ he will go out of his way to help ...anyone ! I have known Dr. Ben for over 15 years. He is an outstanding Vet and we love him. He has taken care of my dogs as if they were his children with a soft hand and kind voice. He has a heart of gold. Ben has been looking after our pets for 25 years. He is a great communicator and has a sixth sense to understand what makes both humans and animals tick. I'll never forget his kindness and generosity of spirit. Good luck Ben and team. Ben looked after my cat from when it was 6 weeks til the day it died after 17 years. He's as much family to our pets than we are! He's cool, knowledgeable and we all over the St.George area love him to bits! Ben has been my vet for over 15 years! He's very caring, compassionate and funny and I wouldn't take my pets anywhere else.